In an environment with an extremely difficult economic situation, our flexibility and continuous adaptation to the needs of the business fabric has enabled us to increase the activity of projects under contract with companies by 5% with respect to the previous financial year, executing a total of 165 projects under contract throughout the 2013 financial year. 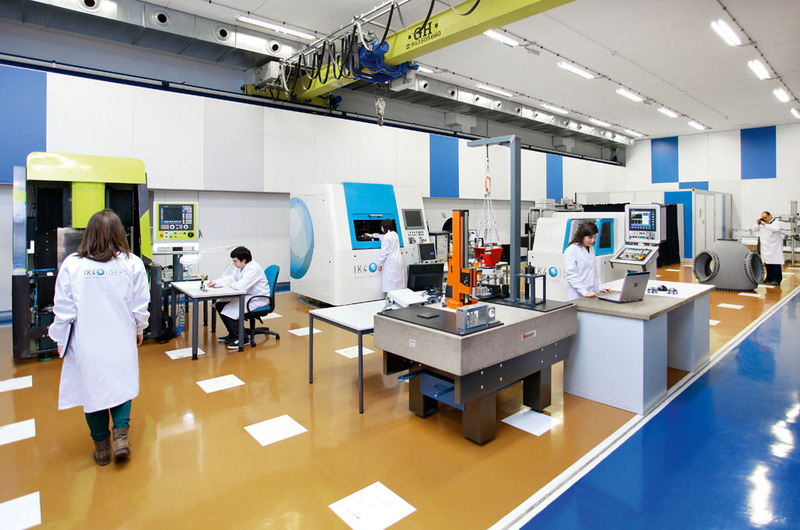 The Technology Centre has increased its total turnover by 1% with total income of 8.8 million Euros. 7.9 million of this amount corresponded to R&D&I projects, 60% of which originate from projects with companies and 40% from projects financed by different public institutions. This income has been earmarked to foster our capacity-building and specialisation, by carrying out research projects aimed at developing new know-how and technologies that can later be transferred to the companies. This balanced combination of research and innovation enables us to maintain R&D&I activity that is sustainable in time as well as provide the value demanded by the companies. Noteworthy is our now extensive experience in research at a European level. The 100 workers that form part of the workforce of IK4- IDEKO have contributed to maintaining the generic research activity in collaboration with universities, research centres and top level international companies. In 2013 we achieved approval for 4 new projects, which together with the other European projects in progress have represented 15% of our R&D activity. On the other hand, at a national and regional level, in 2013 the Technology Centre participated in 4 ETORTEK projects and 7 ETORGAI projects, 19 GAITEK, 4 INNPACTOs and 3 CDTIs. As a result of our research and development work, we have requested two new patents, with which our patent portfolio has reached 20 active patents. On the other hand, the research activity has also generated its fruits in terms of publications: we have published 16 articles in indexed journals and 8 articles at congresses, as well as many dissemination articles. Our proximity to our customers must also be highlighted, as well as the relationship models that we have developing over these last few years, which form the identity mark of IK4-IDEKO. This working method provides us with an in-depth knowledge of our customers' reality and their more specific needs. Thus, a year ends, which, despite the current difficult situation that directly affects the business fabric and society in general, we can qualify it as positive now a new year has arrived, laden with new initiatives. IK4-IDEKO is a member of the IK4 technology alliance together with the centres of Azterlan, Cidetec, Ceit, Gaiker, Ikerlan, Lortek, Tekniker, Vicomtech.